Newspapers that appealed to emigrant populations like the New York Irish-American often ran ‘Information Wanted’ sections, where people could place classified ads. Many are attempts to locate long-lost family, friends or beneficiaries of wills. These advertisements ran for three issues at the cost of $1. Some provide a window into the affect the war had on many families both before and after the conflict- literally ripping them apart. Here are a number of examples. Information Wanted, Of Patrick McCue, a native of Killrain, parish of Innishkeel or Glenties, county Donegal, Ireland. He is twenty years old, and will be in this country three years next May. He went to peddle with a man of the name of Neal Keeney. When last heard from he was in Missouri, with a farmer by the name of O’Donnell, from the county Donegal; heard since that he enlisted in the Union Army in Missouri. Any information of him, dead or alive, will be thankfully received by his mother, Rose McCue, 126 Mott street, New York. Missouri papers, please copy. A Patrick McCue is recorded as serving in the 11th Missouri Infantry and the Missouri Marine Brigade. He survived the conflict, passing away in Bismarck, North Dakota on 13th December 1924. Information Wanted, Of a soldier named John Dunn, son of Mary Dunn, formerly of Clonduff, Queen’s County, Ireland. When last heard from, November 1856, he was in the 6th Regiment of Infantry, U.S.A. Co. H, Captain Henderson, Newport Barracks, Kentucky. Any information concerning him will be thankfully received by his mother, Address Mrs. Mary Dunn, Mecklenberg, Schuyler county, New York. 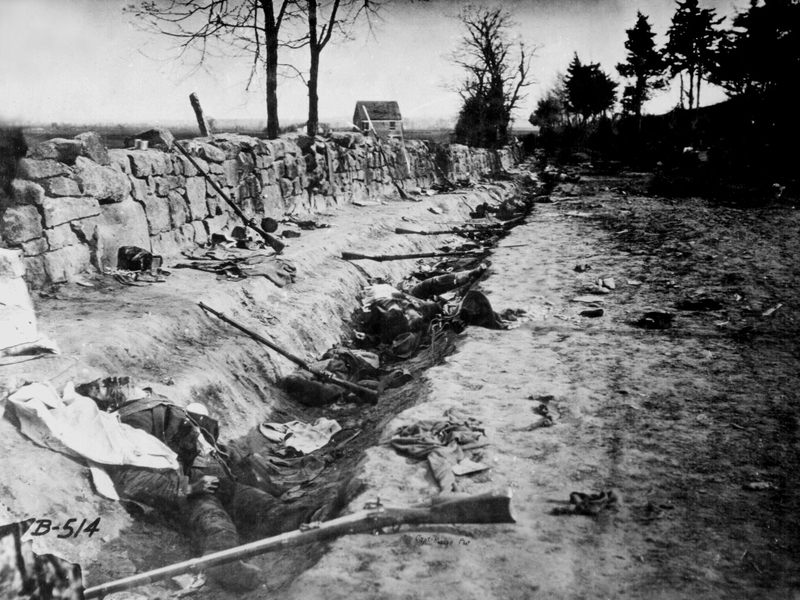 A John P. Dunn is recorded in the 6th U.S. Infantry as a Sergeant. He died on 10th September 1917 in Bismarck, North Dakota. Information Wanted, Of Master Walter Dignan, son of Walter Dignan, leader of the Manchester Cornet Band, now with Fourth Regt., N.H.V., stationed at St. Augustine, Fla. He left his home, at Manchester, N.H., Friday, June 6; is 14 years old, light complexion, light brown hair, dark hazel eyes: rather tall and slim of his age. Was dressed when he left in a spencer of drab cloth with a black velvet collar, dark trowsers, small blue and black check, blue cap, Congress boots. Appears when in conversation rather shy and diffident. Any information of him will be gladly received his mother, Eliza Dignan, Laurel St., Manchester, N.H.
Walter survived the war and would later receive a pension for his services in the 4th New Hampshire Infantry. Information Wanted, Of John Scannel, a native of the parish of Carrigaline, county Cork, Ireland, who left there about twenty years ago. When last heard from he was in Cape Cod, State of Massachusetts; he is now supposed to be in the United States service, in the 9th Massachusetts Regiment. Any information of him will be thankfully received by his brother, Thomas Scannel, Wapella, De Witt county, State of Illinois. John Scannel, from Carrigaline had been a 26-year-old married shoemaker when he enlisted in 1861. He lived in North Bridgewater. His brother Thomas had not heard from him because John had died of wounds on 1st July 1862, from wounds received at the Battle of Malvern Hill, Virginia. Information Wanted, Of Allen McKenna, of Company L, Seventh New York Heavy Artillery, who was wounded at the Battle of Coal [sic.] Harbour. Any person who can prove the same will be handsomely rewarded by giving information at this office, or by writing to James H. Driscol, Toms River, N.J. It is not known why James Driscol wanted to get in touch with Allen. Perhaps they had been pre-war friends or one-time comrades. If he ever did receive the relevant information, it would have told him that Allen McKenna had died on 12th June 1864 of the wounds he received at the Battle of Cold Harbor. Information Wanted, Of Alexander Scarff, a native of Dublin, Ireland, who sailed from Liverpool in the ship Great Western, under the name of Arthur Shaw; arrived at Castle Garden on 5th November 1862; was then 19 years of age; has not since been heard of by his friends or parents; is supposed to have joined the U.S. Army. Any information of him will be thankfully received by his aunt, Mrs. J.D. Clinton, Bath-North, Greenbush, Rensselaer County, N.Y.
No Alexander Scarff appears in Union service, but an Arthur Shaw does, serving with the 174th New York Infantry. The details suggest he was in fact Alexander. He enlisted aged 19 on 6th November 1862 (the day after Alexander had arrived in New York). He mustered in as a Private in Company B on 13th November 1862 for three years. The reason he had not been heard from in seven years is that he had been killed in action on 13th July, 1863 at the Battle of Ascension. It is unknown if his parents at home in Ireland ever learned of his fate. Information Wanted, Any person who can certify to the death of Edward Sweeny, who was killed in the second battle of Bull Run, will please communicate with James Sweeny, Hunter’s Point, P.O., N.Y.
James was clearly looking for confirmation of Edward’s death, 13 years after it occurred. Information Wanted, Of Daniel Sullivan, a former inmate of the Soldier’s Home, Washington D.C., who left that place about March 1st, 1875, and when last heard from was living under the care of the Sisters of Charity connected with St. Patrick’s Church, New York city. Any information of him will be thankfully received by John P. McCloskey, P.O. Box 211, Washington D.C.
Daniel Sullivan was presumably a veteran of the war, who had fallen on hard times. There were a large number of Daniel Sullivan’s in the homes, as yet he has bot been firmly identified. These are just a handful of the classified ads brought out both during the war and in the years that followed. They offer a glimpse of the real cost of war. It illustrates that even where men survived unscathed, families were often separated or estranged for long periods. Mothers such as Eliza Dignan desperately sought news of their sons- presumably some like Walter had run away to enlist. Others spent years trying to find out the ultimate fate of friends or family who had been killed or wounded. Some, like the parents of Alexander Scarff, were still searching for news of their loved one’s fate in the 1870s, no doubt still clinging to hopes that their son was alive and might return to them one day in Dublin. Poignant and sad that people would be searching for friends and family a decade or more after the war’s end. Even more poignant: Patrick McCue was my great-grandfather, and previously we had no idea his mother had come from Ireland looking for him. Many thanks for the comment- I am delighted that you were able to find that out from here. Do you have much additional information on Patrick? We’re so pleased to find out where in Donegal he came from. I can send you his transcribed obituary if you give me your email address. Would you allow me to excerpt her quotation above to add to his entry on Ancestry.com? Alas, it is his mother Rose we know nothing about, even whether she survived this quest. Her maiden name was McNeilis. Thanks for that I really appreciate it! You can get me at irishamericancivilwar@gmail.com also please feel free to excerpt the quotation. It really is a fascinating story. 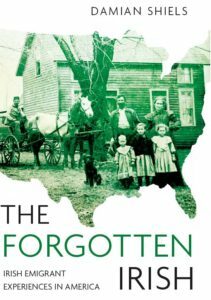 For many of Irish-American descent, because of the lack – or loss – of records, family history often goes back no further than steerage. Your blog proves a prime instance of what I call “P.O.W. !”: the Power Of the Web has provided us with new tantalizing detail. Thanks Kris I really appreciate that!